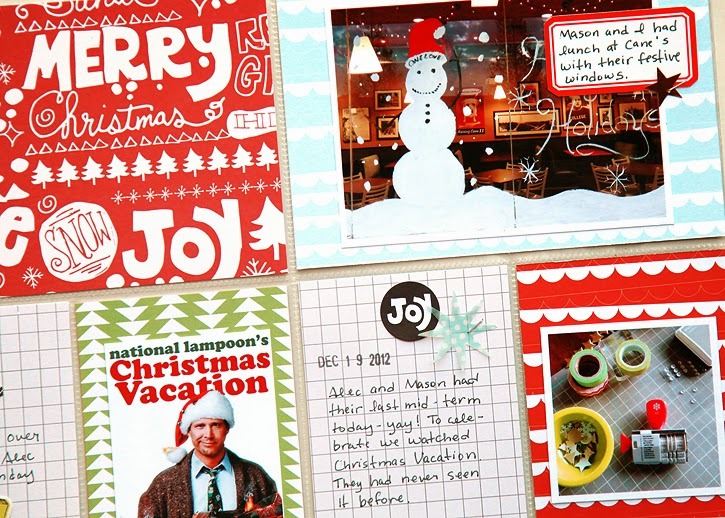 Today is the reveal of Studio Calico's December kits, Blue Note! Kits go on sale today at noon Eastern for subscribers or at midnight tonight for non-subscribers. 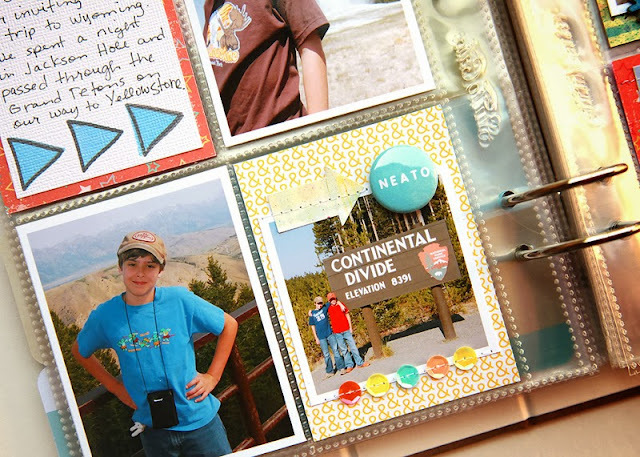 The Project Life kit is full of fun embellishments and brightly colored cards. I made two spreads this time, one for the month of September with the main Project Life kit only, and one for the week 35 with a mix of kits, but mainly the Project Life add on, Armstrong. If you'd like to see more detailed photos of each spread, just check them out in my gallery here. This is the first month I ordered the Blue Note 4x6 paper pad and I'm so glad I did! It's a gorgeous collection of papers, and they are made from a very heavy weight of paper, at least as thick as the Project Life cards. Here's a look at this month's designs. 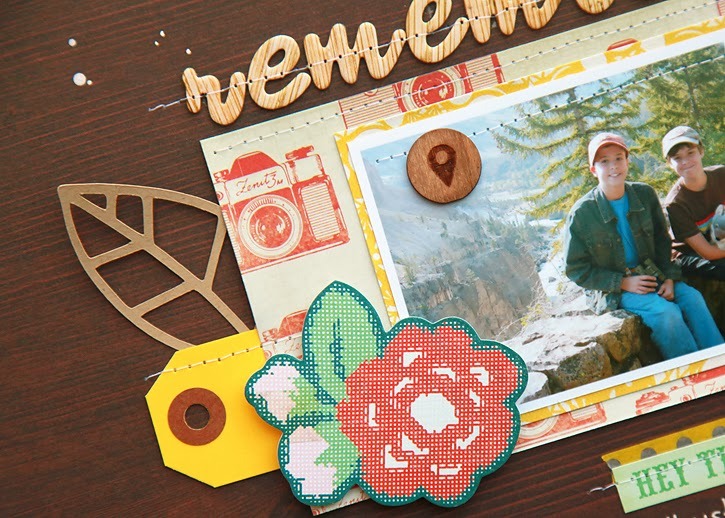 Also check out the exclusive Studio Calico patterned papers from the main scrapbook kit! I love the red chevron and the navy with gold stars. 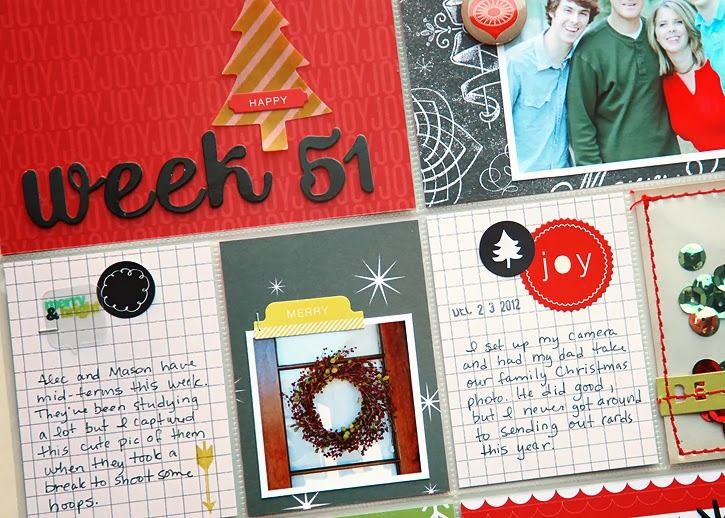 I will be using a little of both in my December Daily album which will be happening very soon! And while you're shopping check out the new letterpress plates. This one is my favorite... especially the arrow and "love"! Here's my two page spread for week 51, the week just before Christmas last year. I narrowed it down to my favorite pics from the week, and I also printed a movie poster I found online for Christmas Vacation since we rented it and it was the first time my boys had seen it. I had so much fun putting this together with my Magical supplies, but I realized when I was done I bought way too much! So I decided to give away an assortment of goodies. :) To enter check out my giveaway on instagram here! 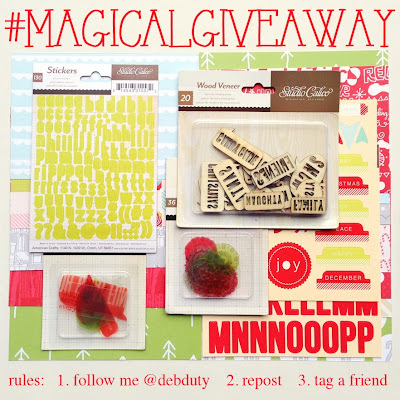 Giveaway ends on November 23. Follow me @debduty, repost and tag friends for chances to win! 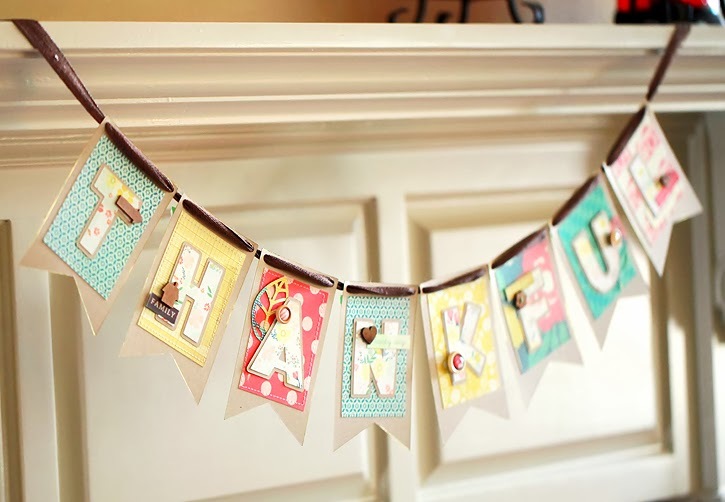 Today I'm sharing a Thanksgiving banner that I made with the Crate Paper Close Knit collection. 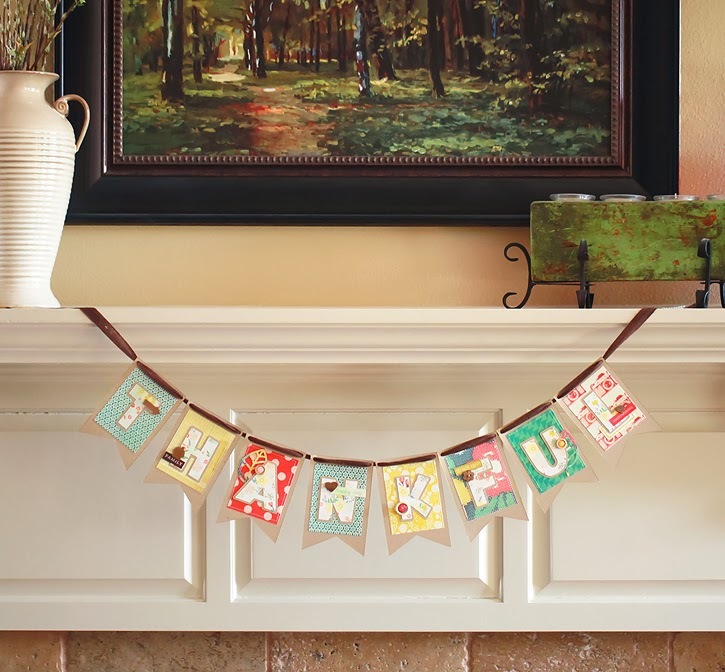 This collection has so many lovely patterns and pretty colors and is a great choice for a fall banner! 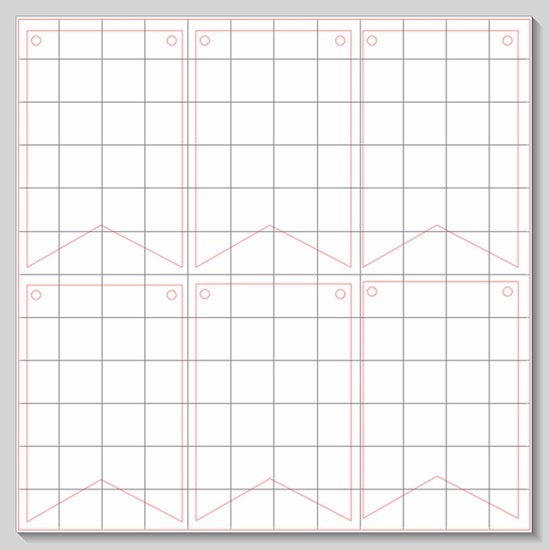 If you'd like to use this cut file that I created to cut the banner shapes, you can download it by clicking here. The font I used for the letters is available in the silhouette store and is called "LW Jumbo". I also cut an offset shape for each letter out of the Kraft cardstock to make them stand out a little more. Now that I have the cut files, I'll be making more for birthdays and other occasions. It was so easy to make and fun too! I'm excited to tell you about Studio Calico's first ever e-book, Jubilee! It's filled with 100 projects all created with the Jubilee kit. Until November 17, the price for the e-book and kit is $34.99, plus you get free shipping! 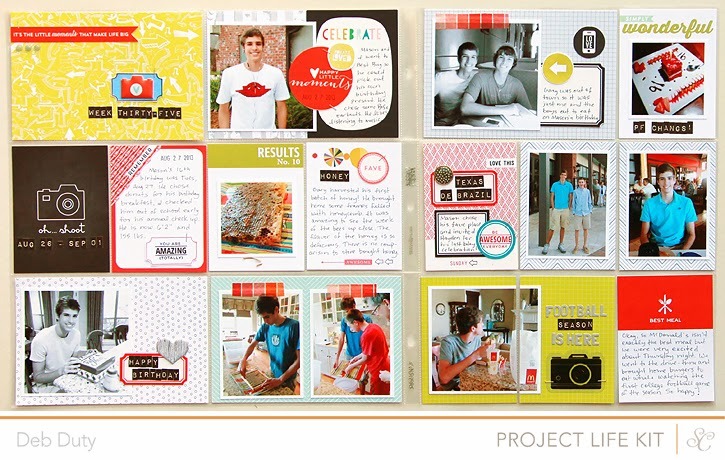 The kit contains a mix of brightly colored 8x8 papers from Studio Calico, Life Love Paper, Echo Park and Basic Grey. 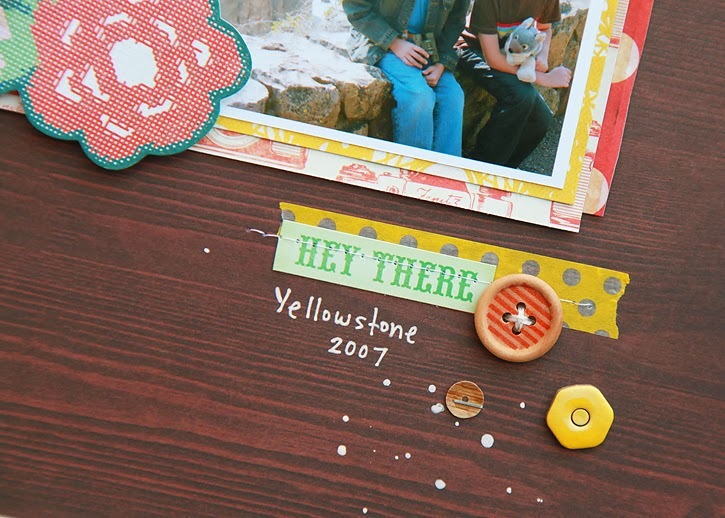 There is also an exclusive stamp set, double sided cards, wood veneer accents from Life Love Paper, badges from Hello Forever, and an exclusive mini Mister Huey in a beautiful shade of green. 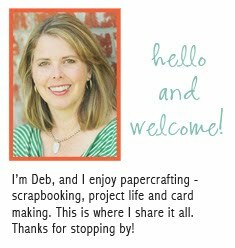 You will also receive access to exclusive printable by Hello Forever, cut files from In A Creative Bubble and Shanna Noel, and a digital version of the stamp set. I was asked to create two Handbook spreads for Jubilee. I used some older photos because I'm steadily working on finishing a handbook documenting our pre-Project Life years. Here's a peek at one of my spreads! For more information and to download a five-page sample visit the preorder page here. And don't forget to order by November 17 to get the discount and free shipping! 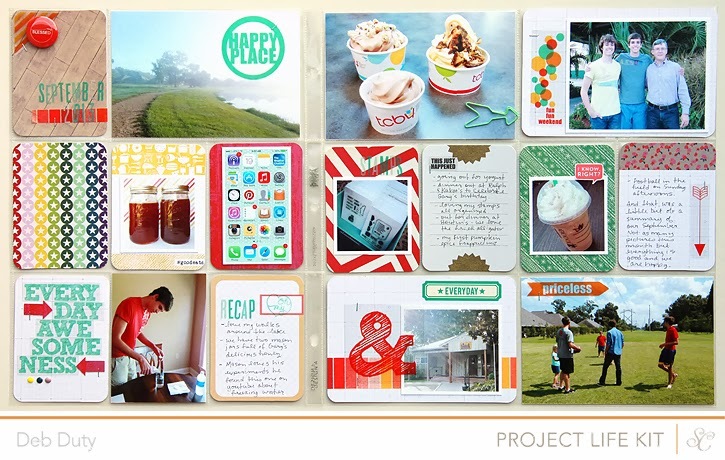 To see my other layouts made with the Close Knit collection click here.